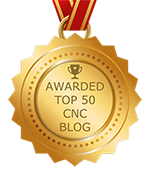 How do you find the best CNC machine services in Ohio? To begin, get recommendations from trusted sources, conduct research, and review the five tips provided. Because there are many different types of CNC machining and the caliber of work is not the same for all companies, it is worth the time to learn what a CNC machining service should and should not look like. While some companies are great, others are not. Especially when looking for the best precision CNC turning center, it is imperative that you make the right choice. Whether interested in CNC milling, CNC lathes, or CNC turning, the right center uses the latest and most innovative technology to reduce production and operating costs. This equates to a nice savings for you, which is then passed down to your own customers. With the information provided below, you will have an easier time selecting the best precision machine company in Ohio. Anytime you need a part or component CNC machined, it is essential that you work with a reliable and trusted source. Because of the potential for disaster by providing your customers with inferior products, this is a critical decision. CNC lathe machining is both popular and necessary. CNC mill and lathe machines have replaced many of the older style production lathes. The modern-day lathe machine is designed to use advanced versions of carbide tooling and processes. While you might initially think that all CNC lathe services are the same, in reality, they are not. Because the quality of the finished part or component depends on the CNC machining service that you choose, it is extremely beneficial to have some basic knowledge. This allows you to make a well-informed decision. Especially when it comes to custom CNC turning, it is critical to make the right choice. There are many benefits when transitioning from manual to CNC milling. Especially for custom CNC milling, you can enjoy a seamless transition, greater revenue, and happier customers than with manual milling. Ultimately, you end up with a CNC milling shop that is well-respected for producing superior-quality parts and components. Although you can consider a different precision CNC machine shop in Ohio, NexGen Machine has a long history of excellence for customer support, design, and production. We take extreme pride in our precision CNC machine shop and strive to exceed customers’ expectations. Regardless of the industry, the type of part or component needed, or the number of items to be produced, our CNC machine services in Ohio are superior.